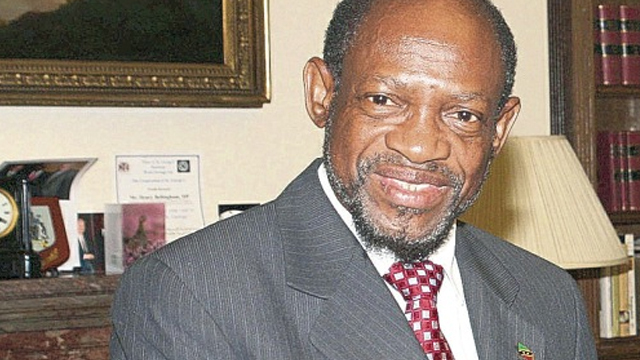 “It is quite apparent from all that is taking place within the Royal St. Christopher and Nevis Police Force that the Prime Minister is seeking for political purposes by and large to dismantle the Force by discarding selected senior officers so as to install his acolytes,” Leader of the Opposition, the right Hon. Dr. Denzil L. Douglas said in a letter on Wednesday to the Chairman of the Authority of the Organisation of Eastern Caribbean States (OECS), Dr. the Hon. Ralph Gonsalves. “The Opposition is being systematically stifled through the illegal curtailment of our right to speak in Parliament, denial of access to public spaces such as community centres, and denial of access to the state-owned radio and television,” he said. Dr. Douglas said the opposition has learnt through intelligence that the next phase of Dr. Harris’ campaign of dictatorship will be the imprisonment of members of the Opposition and key opposition supporters. “Over the last four months, two police sergeants resident in my district (and who performed close protection services to me as a former Prime Minister) have been shot under unexplainable circumstances. Neither of the two officers was on duty or in any confrontation with anyone at the relevant time. Two of the persons who were allegedly involved in the shooting death of the police officers have themselves been executed in shoot-outs, one of which involved the Police and the other under strange circumstances,” said former prime minister Douglas. He pointed out that on September 20th, a police officer who had been off duty and assisting him with driving services at the National Independence Parade the day before, was locked up overnight in his service uniform without bail. “He was charged for driving with an expired driver’s licence which under our laws is a ticketable offence with a maximum penalty of a fine of EC$2,000. He was subsequently released on a EC$20,000 bail and sent on suspension. When the matter came up for trial on October 4th, it was traversed to November 29th,” said Dr. Douglas. 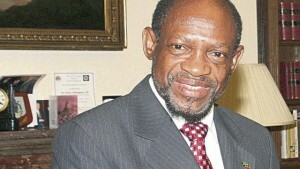 “As it stands, we firmly believe that certain substantive holders of senior positions in the Police Force, such as the Chief of Police, have not been made aware of the plan to mobilise the forces of the RSS into St. Kitts and Nevis, and that senior Ministry of National Security officials are not supportive of the Prime Minister’s directive to have the RSS deployed into the country for mere political purposes,” the letter to Prime Minister Gonsalves said. “I believe it is my duty to raise the foregoing issues so that they could be taken into consideration in any relevant decision-making process at your level,” Dr. Douglas said.